While most travelers choose popular destinations like the Bahamas and Mexico to satisfy their vacation needs, there are a number of gorgeous destinations off the beaten bath that are equally as enjoyable. Baku, Azerbaijan is one of these locations. Baku is considered one of the most beautiful cities in the world. It is located where Europe and Asia meet and its history dates as far back as the 5th century, which means that travelers can feel confident they will be immersed in the city’s rich history the moment they arrive. Baku is the largest city in the country of Azerbaijan and is also the largest city on the Caspian Sea. It is located on the southern shore of the Absheron Peninsula and was proclaimed in 2009 as the Islamic Culture Capital. With over 2 million people living within the city, it is perfect for travelers who are looking to experience an entirely different culture while feeling as if they are part of something large than themselves. 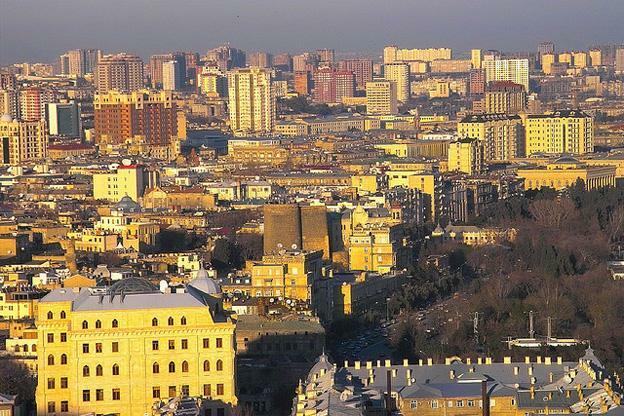 There are a number of large hotel chains located in Baku, allowing visitors to escape to their tranquil resort when needing a break from the busy streets of Baku. There are two parts of the city, Downtown and Old Inner city. These two sections boast entirely different atmospheres and allow visitors to catch a glimpse of both old and new and the way the two converge. Because Baku is the scientific, cultural, and industrial center in the country, it is definitely the place to go if looking to experience life in Azerbaijan from all different angles. Visitors can visit cultural centers or take advantage of Baku’s bustling nightlife. There are endless opportunities in the city. Some of the famous tourist locations are Downtown Fountain Square, One and Thousand Nights Beach, Shikhov Beach and Oil Rocks. If looking to experience Baku’s culture, the city boasts two phenomenal museums – the Bake Museum of Modern Art and Azerbaijan State Museum of History. 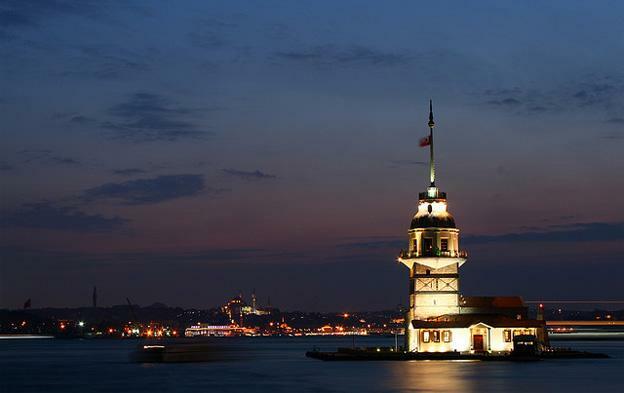 There are also several locations, such as the Maiden’s Tower, that provide excellent views of the city. Many tourists consider these sites to be must-sees when visiting the city because of the historical significance of these ancient sites. In total, Baku boasts 30 museums and 7 theaters. The city is also home to 111 higher education institutions and a philharmonic society. Opera and film lovers will feel right at home in Baku as a result of the opera theatre, film studio, and cinema centers that reside within the city’s walls. Baku enjoys a subtropical, semi arid climate, which means that it experiences hot and dry summers and cold, wet winters. The city is also infamous for its strong winds that are present throughout most of the year. The city’s name actually translates to city on the hill and windy city. During the months of July and August, travelers can enjoy average temperatures of 80 degrees and little rainfall, making this time of year the ideal time to visit. For those looking to experience an entirely different culture and immerse themselves in a city filled with gorgeous architecture and rich history, Baku Azerbaijan is the perfect destination. It has something for everyone and is sure to leave visitors with pleasant memories for decades to come. Krystina Malinowski the author of the “Visit the 2012 Eurovision city Baku Azerbaijan” is a travel blogger, keeping people updated while staying protected with NetQin.